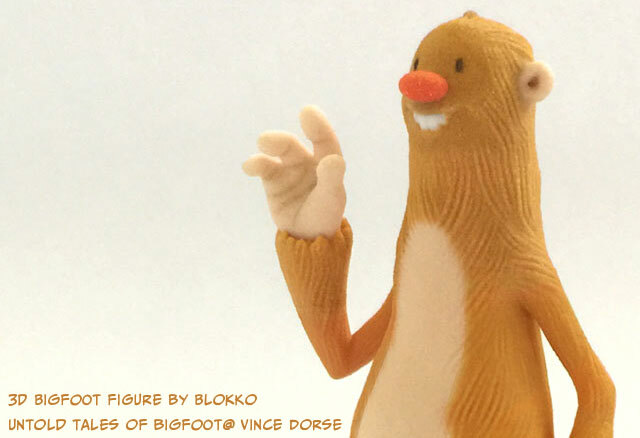 Blokko Releases 3D-Printed Untold Tales of Bigfoot Figure Into The Wild! 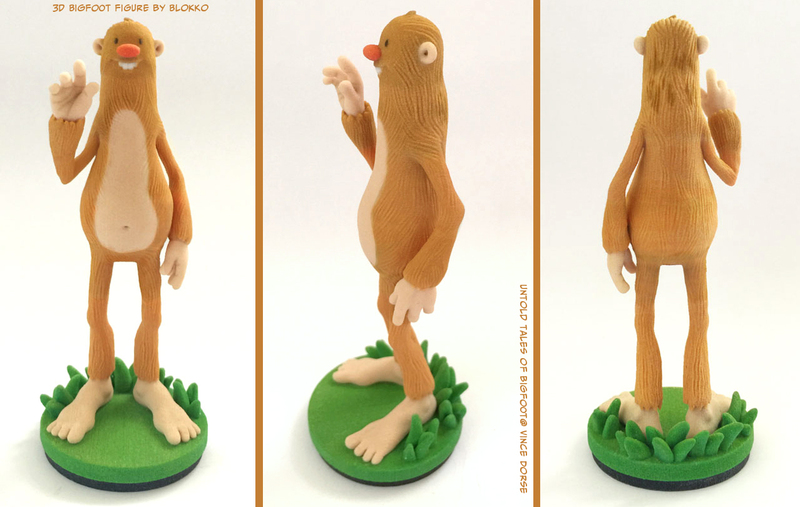 I’m thrilled to finally show you the very first, official Untold Tales of Bigfoot 3D Figure by Blokko! I’ve been working for months with Blokko co-founders Rahul Thayyalamkandy and Prad Lal to make this figure happen and he’s finally here! As you can see, they really captured the big guy’s personality. Blokko is an innovative new company that designs 3D-printed figures based on engaging stories and comics. It’s a site where you can go to read stories, learn about the creators, and buy toys based on those stories. There’s an Untold Tales of Bigfoot Page at Blokko (as some of you have already discovered). So let me break down the details on why this Bigfoot figure is so special. 1. This is the very first ever official Untold Tales of Bigfoot figure. Who knows if there will ever be another? But as far as firsts go, this one’s a doozy. 2. Blokko is offering this collectible figure for a limited time only. That’s right, Blokko and I are partnering on this toy for a limited time and after that…it may be gone forever. Foooreeeevvveerrr…. 3. Bigfoot is among the first wave of figures debuting this year at Blokko, a cutting-edge company on the rise. When these guys get huge, you’ll be happy you were in at the beginning. 4. Though neither the Blokko guys nor I are gonna retire to Belize on the sales of this figure, a small portion of the modest proceeds will help keep the lights on so I can keep working to get more Bigfoot comics your way. 5. Meticulously sculpted by co-founder, Prad Lal, each Untold Tales of Bigfoot figure is individually 3D-printed, made of a resilient gypsum composite, and stands 12.5cm tall (about 4.9 inches). Perfect for fans of my comic or just Bigfoot enthusiasts in general. I mean, who wouldn’t want this happy guy waving hello to them every morning from their desk? 6. BUY IT NOW! The Bigfoot figure is currently $48USD with $5 shipping to most of the US. But right now you can get a discount! Just enter FORSCOUT as your discount code to get 10% off! PLUS, there’s an option for you to share it on Twitter and Facebook and earn an additional 5% off for each. And that’s not just 5% off the already discounted price. Amazingly, if you use the FORSCOUT discount code and share on both Twitter and Facebook, you’ll be getting a full 20% off! SWEET BABY CORN! 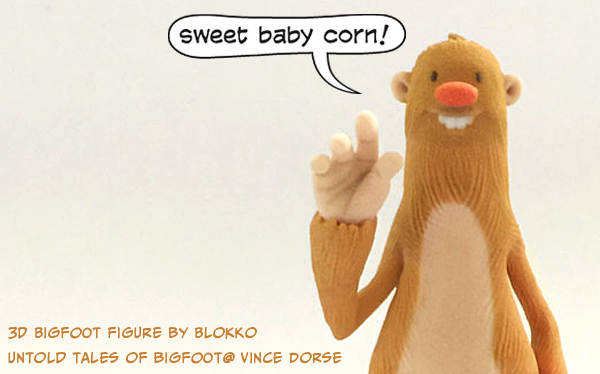 Go here to buy the Untold Tales of Bigfoot figure by Vince Dorse & Blokko!